Reserve Champion ShorthornPlus Steer – 2008 MI Beef Expo, Grand Champion AOB Steer – 2008 Thumb Jackpot, Reserve Champion Steer – 2008 Huron County Fair. 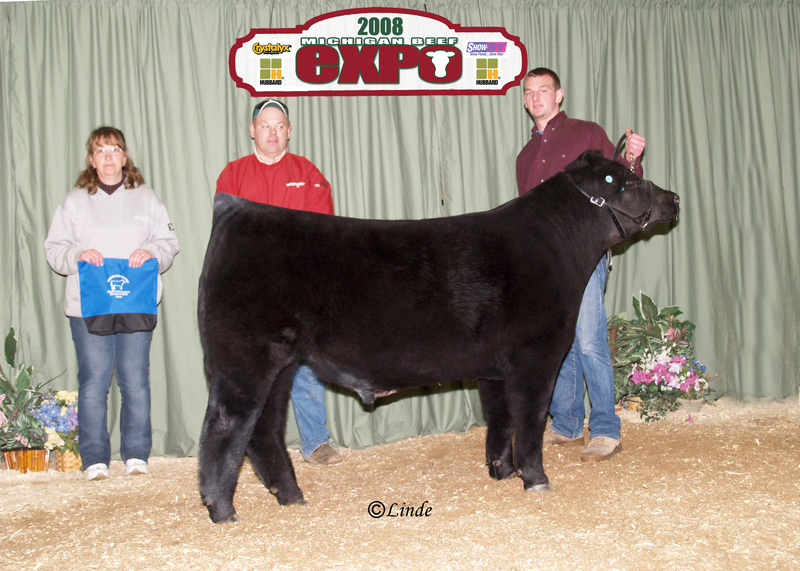 Raised by Welshans Show Cattle. Shown by Brian Binder.